BOGURA, Apr 15: Summer radish growers of the district are making good profit this season due to fair market price. According to the Department of Agriculture Extension (DAE), so far 300 bighas of land have been brought under the farming of summer radish production in the district. 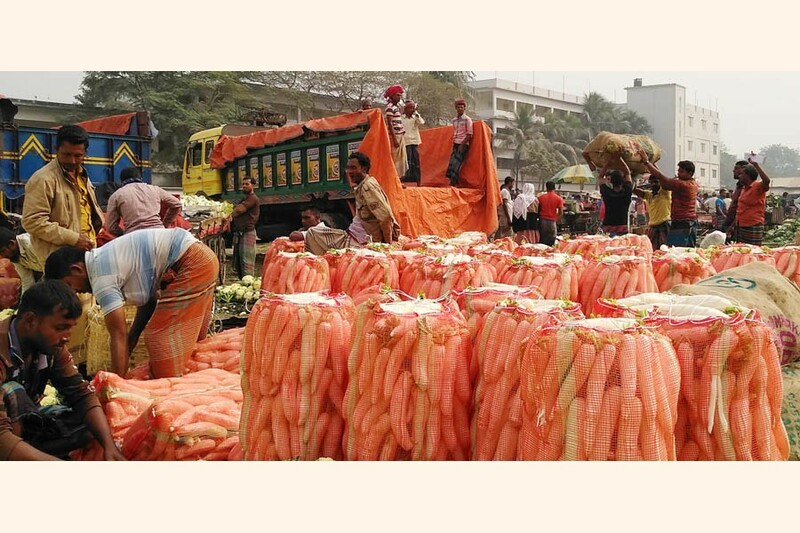 Officials said radish cultivation in the summer is gaining popularity among the growers in the district. Repeated bumper yield and fair prices are main reasons behind the popularity. Some farmers of Shibganj, Gabtoly, Sonatola and Sadar upazilas of the district took the initiative of growing the vegetable in the summer according to the suggestion of the DAE officials. Each kg of summer radish is sold at Tk 30 to Tk 35 in the retail market and each maund is selling at Tk 1,400 to Tk 1,500. Around Tk 12,000 to Tk 15,000 is needed to grow the item on a bigha of land and about 70 maunds of radish can be produced on the land. Sub-assistant agriculture officer of DAE Faridur Rahman said, "We provide all necessary support to the farmers so that they can achieve a good yield." The official further said radish farming in the summer is profitable. Growers should expand the production for more profit.